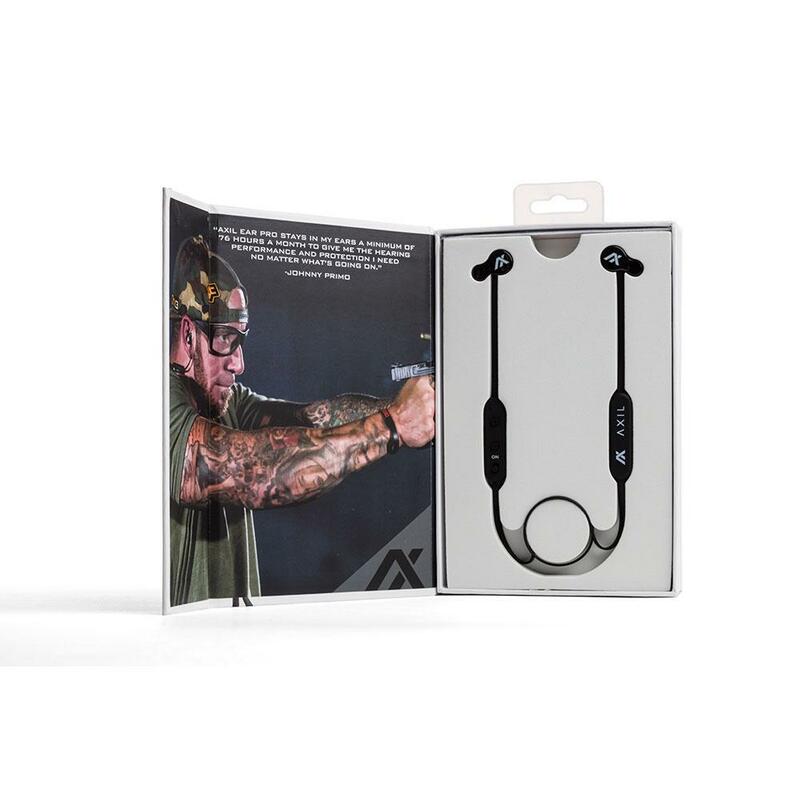 The Ghost Stryke Bluetooth is the first of it’s kind offering the highest quality hearing protection and enhancement, as well as bluetooth connectivity in the same device. 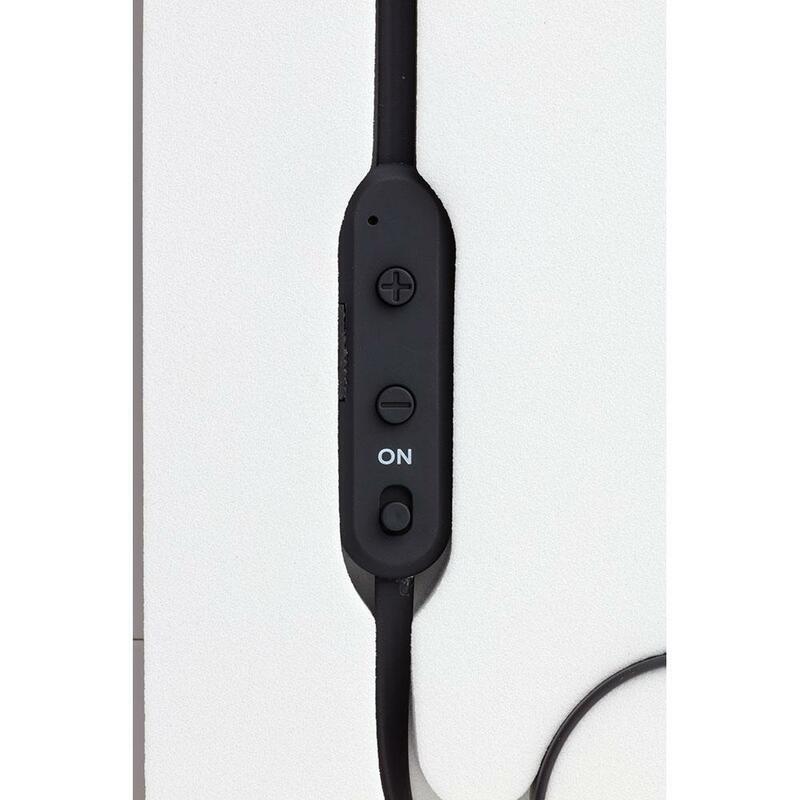 Switch between the Essential mode, or the Bluetooth mode depending upon your needs. 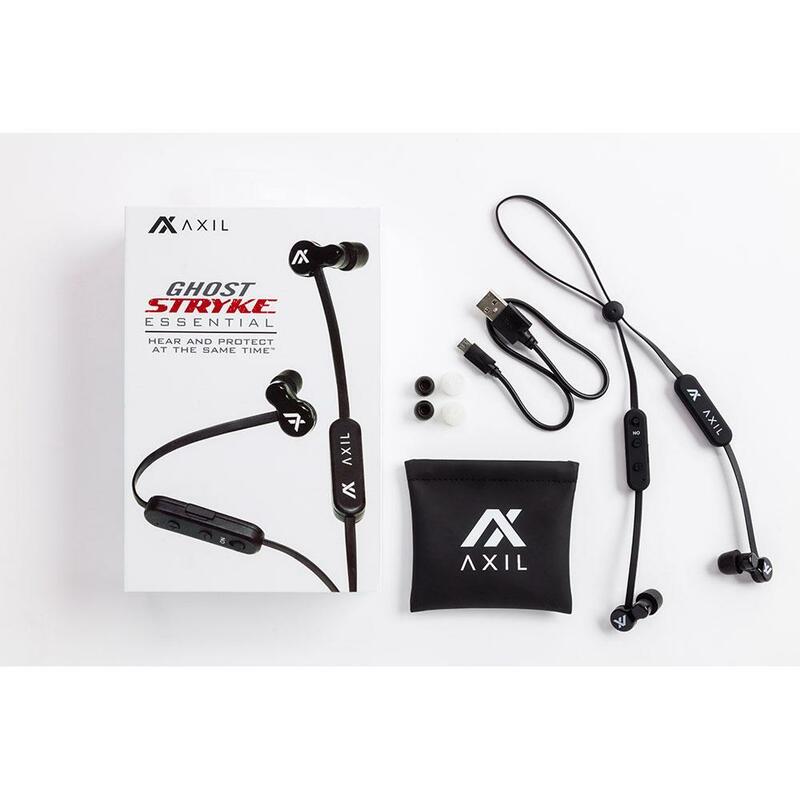 AXIL has blended the best sound technologies into a new hybrid technology to deliver the best in hearing and audio performance. We have worked with the best technologies and engineers worldwide to bring you the most advanced hearing enhancement and hearing protection. The result is incredible allowing you to switch effortlessly between the features you need at a particular time or to choose to have all features operating at the same time in perfect harmony. You’ll love what this new All-In-One and Dual Purpose Hybrid technology can do for you. Ghost Stryke BT Essential offers you a bluetooth option as well as our coveted Essential product. You can get enhanced hearing and hearing protection at the same time in a tiny pair of earphones. 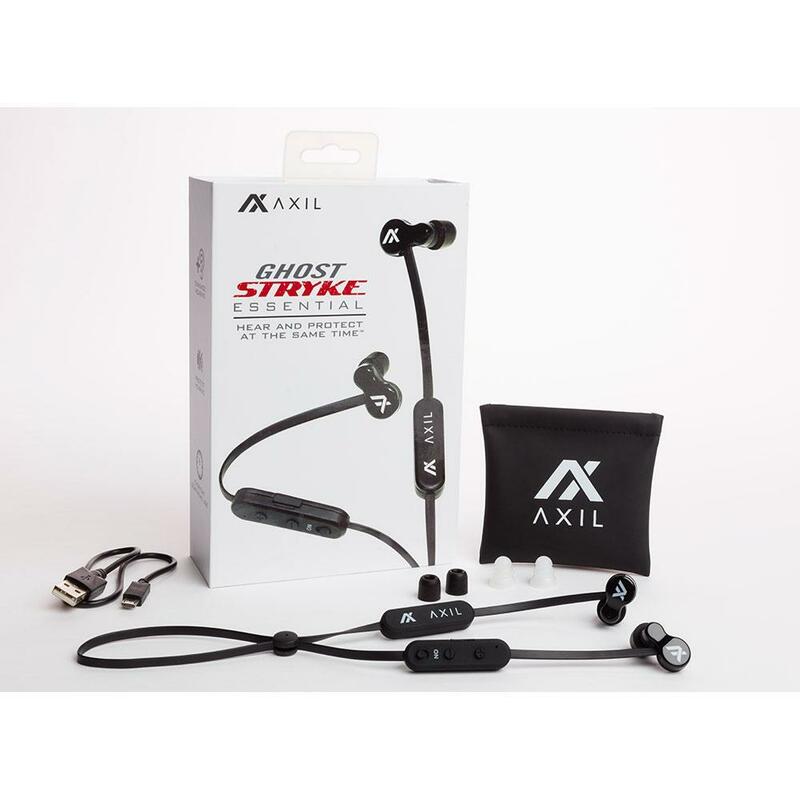 Includes a lanyard with a rechargeable battery and control stick to set your new earbuds to your desired features and performance. Small and light-weight for any application- you no longer have to wear bulky ear muffs to have great electronic hearing and hearing protection. Whether you’re at work, travel, recreation or whatever the ALL NEW Ghost Stryke BT Essential earbuds will take care of your needs and wants. Ghost Stryke™ is designed from the inside out to keep moisture, sweat and water out against your most needed activities in life. Indoors or out- you’ll be good to wear your new earbuds in any environment (except swimming- of course!) and during any activity you choose. Ghost Stryke BT offers you a bluetooth option as well as our coveted Essential product. You can get enhanced hearing and hearing protection at the same time in a tiny pair of earphones. 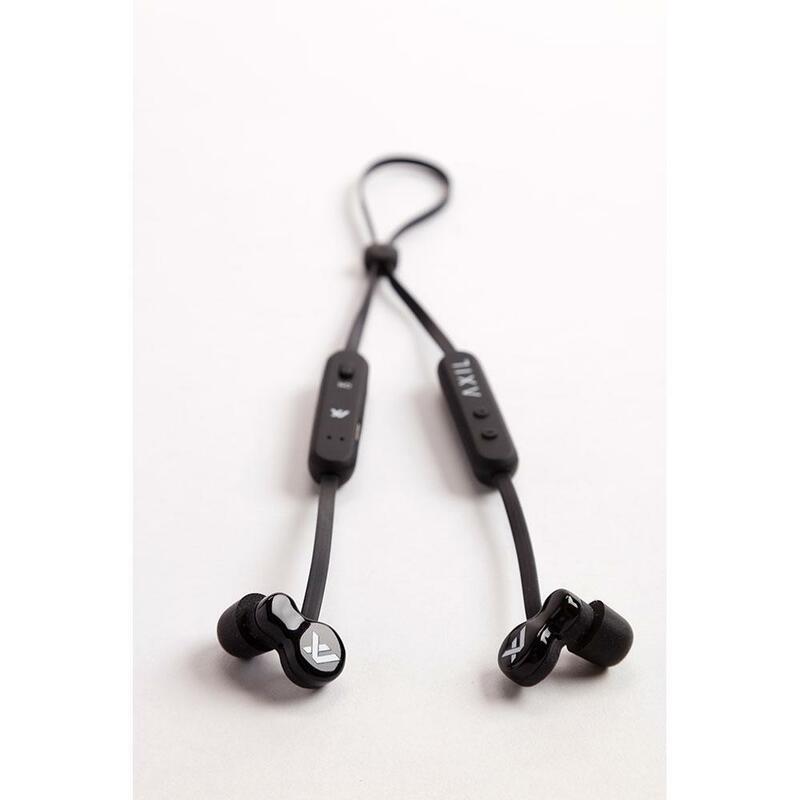 Includes a lanyard with a rechargeable battery and control stick to set your new earbuds to your desired features and performance. Small and light-weight for any application- you no longer have to wear bulky ear muffs to have great electronic hearing and hearing protection. Whether you’re at work, travel, recreation or whatever the ALL NEW Ghost Stryke BT Essential earbuds will take care of your needs and wants. I just got back from a goose hunting trip and these Ghost Stryke Essential BT were Awesome. I could hear all conversation and blocked out all shooting (even though head was covered with head gear and hood). They held a charge all day, I used them for 10 hrs a day on ES mode. I recharged every night, they never did run down. Thanks for a Great Product. I use these as my day to day headphones and they are great! They are comfortable and fit relatively well. (I have small ear canals so I have never had an earbud fit perfect.) The sound quality is pretty great with everything else it can do. Being able to listen to music while also having my hearing protected is amazing! Thanks for your interest, well be in touch!